A Palestinian-Arab State would be an Iranian-proxy terror state, resulting in more war and attacks. The evidence is clear: The Palestinian Authority (PA) continues to pay terrorists to murder Jews. They still regularly name schools, streets, sports teams and children’s camps after Jew Killers and other terrorists. PA schools, media, television, mosques, etc. continue to teach Palestinian Arabs to hate and violently attack Jews, and hate Israel and Americans and to annihilate and replace all of Israel. The PA discriminates against and seizes the property of Christians. The PA refuses to negotiate with Israel. This is very important. Please write or call now! 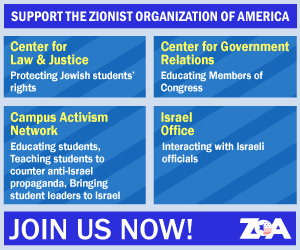 Thank you for your pro Israel activism. We dare not be silent! I urge Colombia President Ivan Duque to rescind and reverse the harmful, unjust and pro-terror last minute decision of the former president of Colombia recognizing a Palestinian-Arab state. 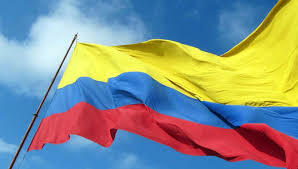 Colombia should not recognize a Palestinian state. The implications of recognizing a Palestinian state are dangerous and damaging. A Palestinian state would be an Iranian-proxy terrorist state. A recognized Palestinian state would be even worse than the current Palestinian Authority government, which pays terrorists to murder Jews and Americans; names schools, streets and sports teams after terrorists; promotes hatred and violence; discriminates against and seizes the property of Christians, and refuses to negotiate with Israel. Recognition of a Palestinian-Arab state also damages Colombia’s good relations with America and Israel, and endangers Colombia’s Jewish community. Please rescind this terrible, anti human rights, anti-Semitic decision and do not recognize a Palestinian Arab state which will become another terror state.